The best methods and tools for managing availability, process efficiency and risks can be found here at Ramentor Oy. RAM stands for Reliability, Availability and Maintainability. RAMS entity comprises also Safety (PSA), Quality (TQM) and Risk Management (PRA) aspects. 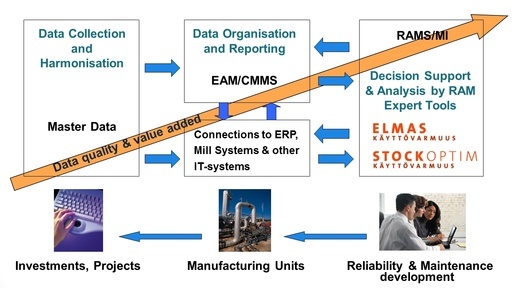 RAMS is an important part of overall equipment effectiviness calculations (OEE), system life cycle management (PLM, LCC/LCP), systematic development of operations (RCM) and reliability design (DfR). Ability to manage and optimize these RAMS factors is a very valuable asset for any company designing a product and/or running a complex process. Get to know the extensive list of our industrial partners and references and the RAMS training packages we provide. Ramentor is a software and consulting company established to combine the latest theory, methods, and knowledge in the RAMS field into practical tools, and solutions & services for the customers. 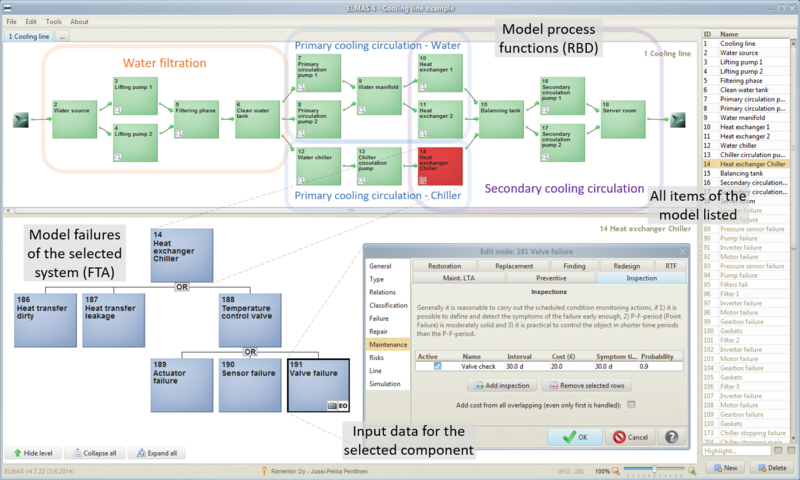 Ramentor and our ELMAS software allows you to manage - Design, Analyze and Optimize - the whole RAMS entity of your product or process. We encourage you to get to know our company, products, trainings and application services. Please check our references, and read about our customer cases, news articles and publications. Lets arrange a meeting where we can find out the best way to help You! Read more about Ramentor's background, experience and knowledge. Please also check the list of our References, or read more News, Customer cases or Publications. 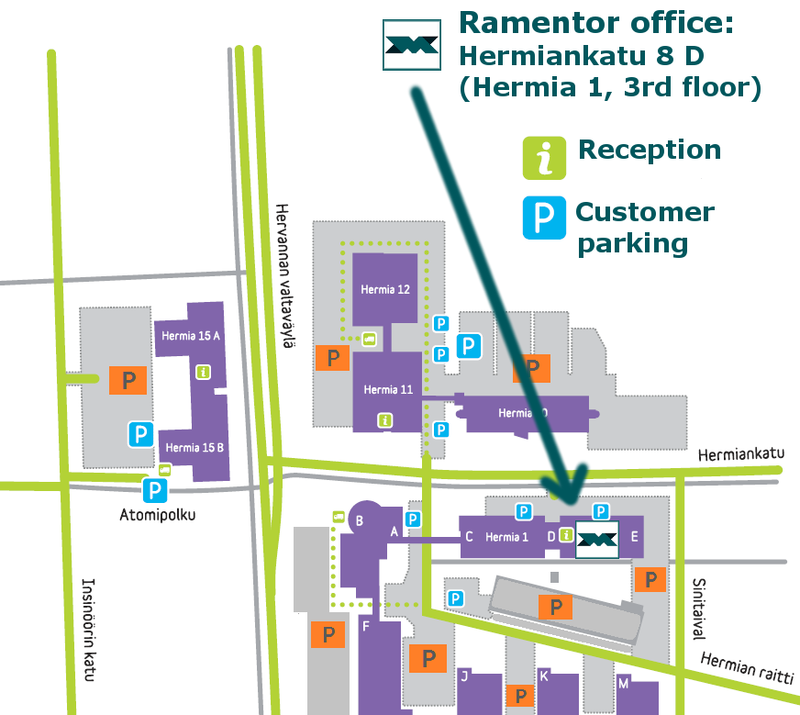 Ramentor is a private software and expertise company founded in 2006 and based in Tampere, Finland. We develop and deploy Reliability, Availability, Maintainability and Safety (RAMS) software tools by combining the actual customer needs and the latest research in the field with proven technology. Respectively, we also provide trainings and application services concerning the products and the methods. Our customers include major technology, manufacturing and industrial service companies, both locals and those with global coverage, all seeking for systematic approach on RAM management. 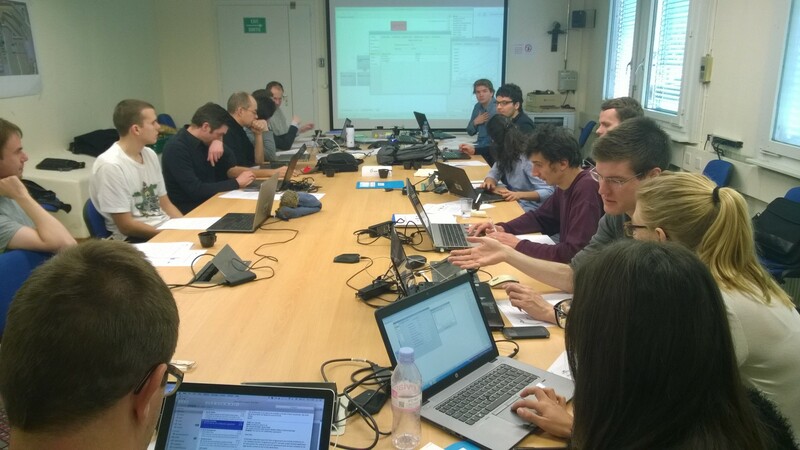 Our business partners today are Tampere University of Technology and CERN for the research and development. We are actively seeking for new partnerships on all areas. However, Ramentor is independent on technology and markets, and no exclusivity is granted on products. Ramentor is owned by its operative management and the board members. Ramentor employees, the RAMS team, hold Dr. and M.Sc. degrees in software development, applied mathematics, industrial automation and maintenance technology from Finnish universities of technology, and all together over 50 years of experience in dependability planning and various tool applications in industry. Our goal is to become the leading expert in the field of RAMS management methods and tools.